After work, I spent the afternoon yesterday hanging with some friends here in Columbus. 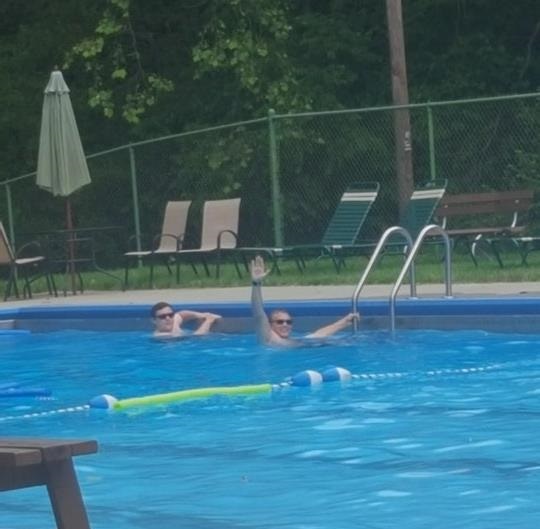 They just joined a pool so we walked over to it and checked it out. VERY cold water, but lots of fun. 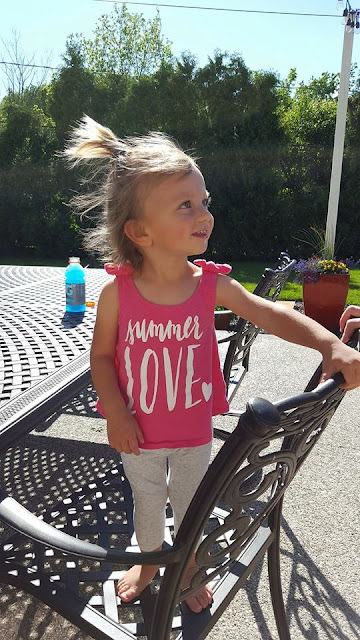 How adorable is Summer!!!?!?! Since I worked in the morning, Dawn decided to stay at her parents an extra day so Summer and Dawn did not get back until last night. Dawn sent me this photo yesterday afternoon. Lots of sun today and warm temps. A few pop-up showers are possible this morning. Any pop-up rain will likely be showers, but a few rumbles of thunder are possible. 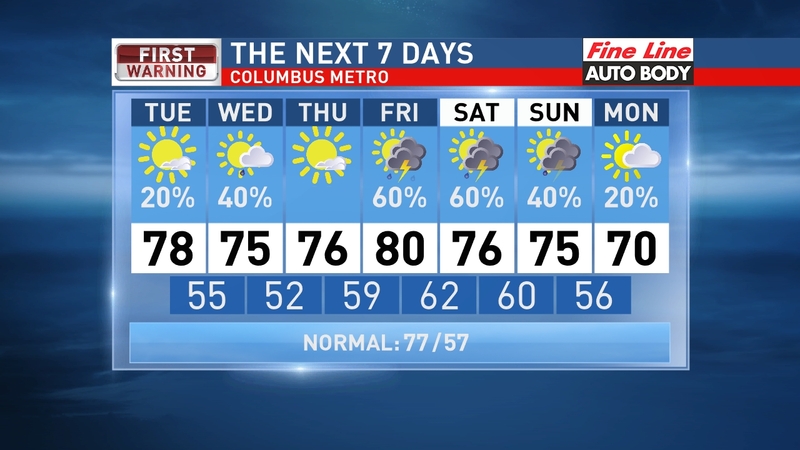 More isolated rain moves in overnight and isolated showers/storms likely Wednesday. 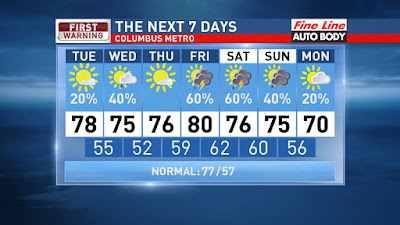 Sun returns on Thursday then scattered showers and storms for Friday and the weekend. Afternoon temps staying warm all the way into early next week. Have a good one!